Ride the tank on a vast field for 5 euros per person. Go sailing, or even become a member of one of the largest regattas in Europe, climb an extinct volcano and relax in a thermal lake surrounded by water lilies... And also beach holidays, festivals, wine tours, collecting lavender and flying on the balloon. 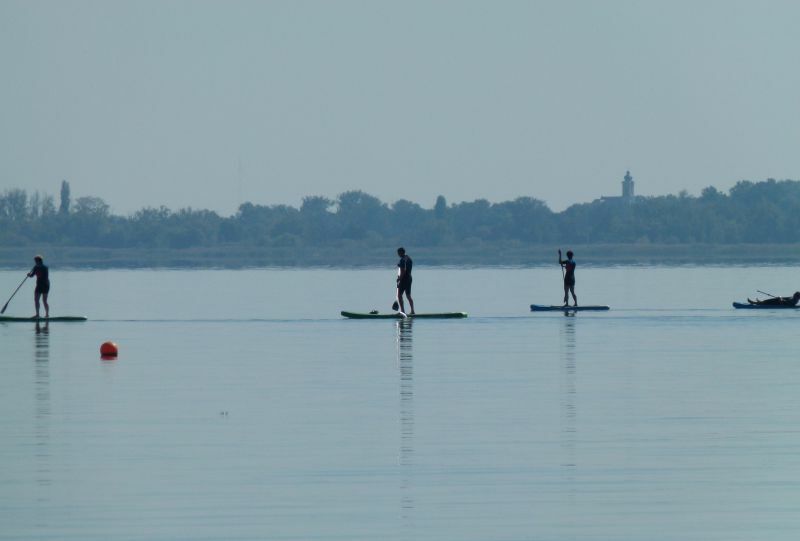 Even if you spend 2 weeks at Balaton, there will be entertainment for every day. 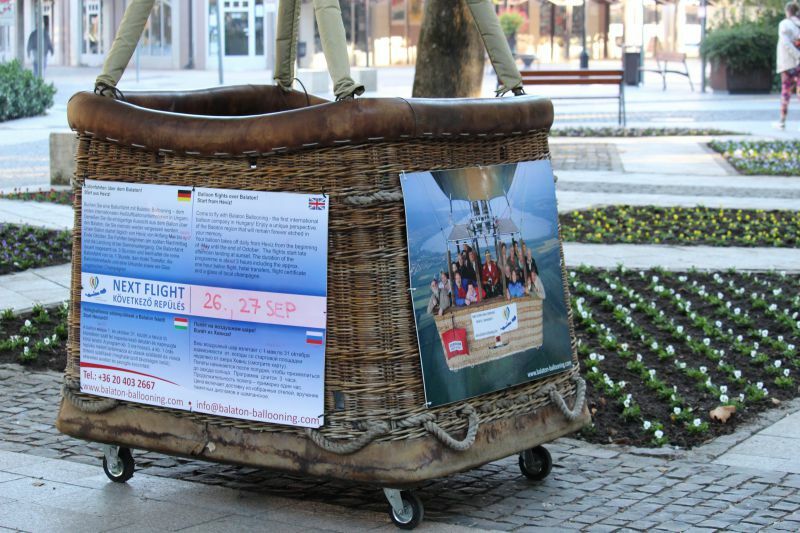 We will share the discoveries made by the IGotoWorld team during a trip to Balaton. View of the island Tihany. 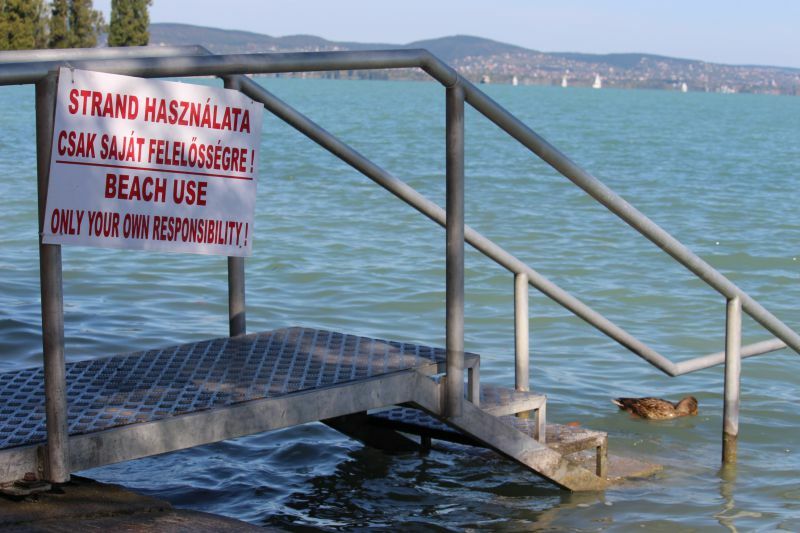 If you did not swim in the thermal lake of Heviz – your visit to Balaton does not count. It is “a must-have” for every tourist. It is the largest in all of Europe and attracts people from all over the world. Many come here to heal, because the most useful part of the periodic table has dissolved in the lake: sulfur, calcium, magnesium, hydrogen carbonate. If you have aching bones, joints, skin problems and other troubles – you should come here. Foresighted Hungarians had built a great thermal complex on the shore of the lake. Everything is thought out to the smallest detail in it. 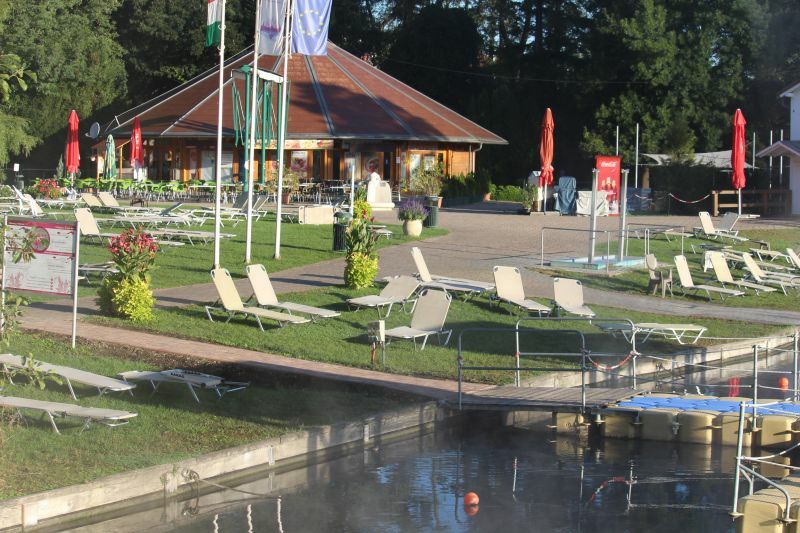 Sun loungers, cafés, flowers, green lawns, warm pools with hydromassage, special handrails in the lake. Everything that you need to relax in the water, if it is hard to swim. And all of it with swim ring. It is cold outside? You can get into the lake directly from the warm room – there is no need to freeze. It is a warm day? You can lie in the sun, sit in a local café under the open sky. Everything that you might need. 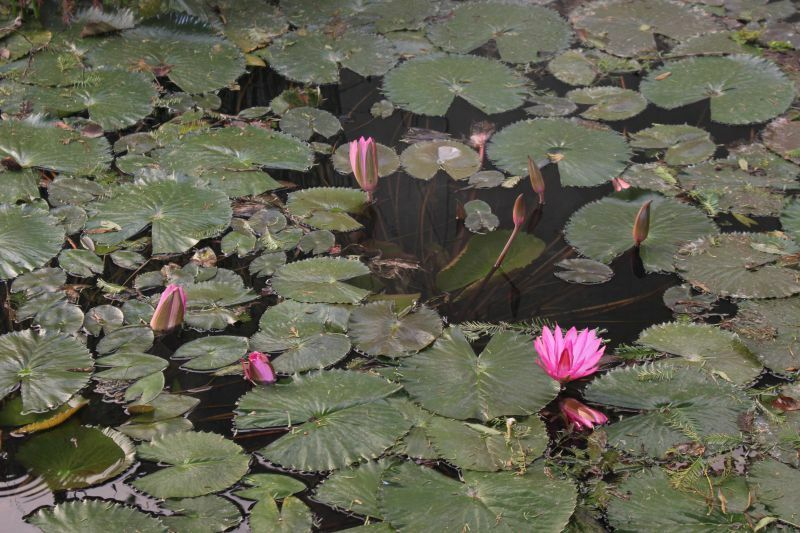 Besides, you will swim among the amazing water lilies!! Just do not overdo it: the water in the lake is still healing and 20-30 minutes will be enough for one time. You can go do mud therapy. Price: depends on how much time you plan to spend on the lake. A ticket for 3 hours is recommend: this way you will definitely not overswim it, making a 30-minute break between them. This ticket is 3,000 forint (about 10 euros). For the day – 5200 forints (about 16 euros). If you stay at the hotel – there are special offers. In many hotels you can use the thermal healing waters. We stayed at the Hunguest Hotel Helios, which is about 500 meters from Heviz lake. The main gem of the hotel is the department of medical therapy with highly professional staff. Appropriate procedures are selected here depending on the disease and general state. From massages to drinking and special baths with weights. Even if there are no complaints, here you can get advice on a healthy lifestyle, diet, spinal problems, as well as an individual comprehensive training plan. In the Hunguest Hotel Helios. 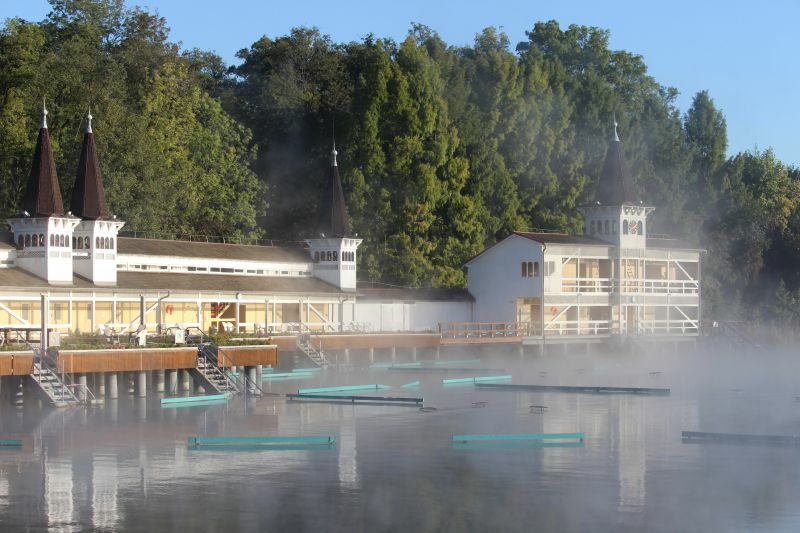 Opening hours of the thermal complex on Hévíz lake: from 9:00 to 18:30. Location: Hévíz, str. Csokonai, 3. Coordinates: 46.785963, 17.193517. Beaches cover the majority of the shoreline of Balaton. Thoughtfully designed beaches, where you can lie on a green lawn in the company of ducks. Beach in the town of Révfülöp. 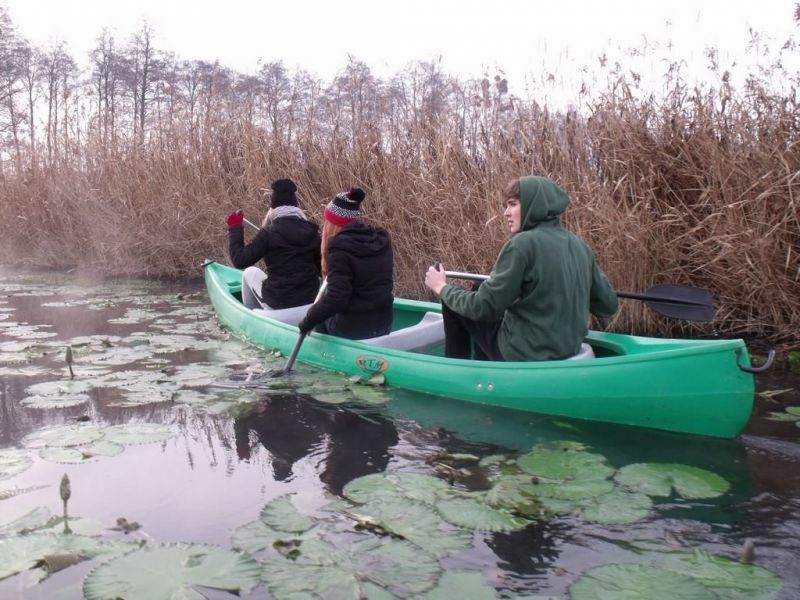 Now it is hard to believe that in the last century Balaton was surrounded by reeds, and it did not occur to the locals that it was possible to swim in it. But a bit later the fashion for swimming started to exist, and the residents finally saw how beautiful it was! Just look at this water! And cozy beaches! Green neat lawns, sun loungers, changing rooms, fantastic bright flower beds, playgrounds for children. The beaches vary by region. The best option for babies is in the southern part of the region. You can walk in it for a long time, and the lake is only knee-deep. The beaches on the northern part are more interesting for those who like to swim. Price: for the most part, the beaches at Balaton have admission fee – 500–1000 forints per day (approximately 1.5–3 euros). There are free ones too, but you have to find them. If you are staying at a hotel or a boarding house with a private beach, there is no additional charge. On the free beach in Tihany. 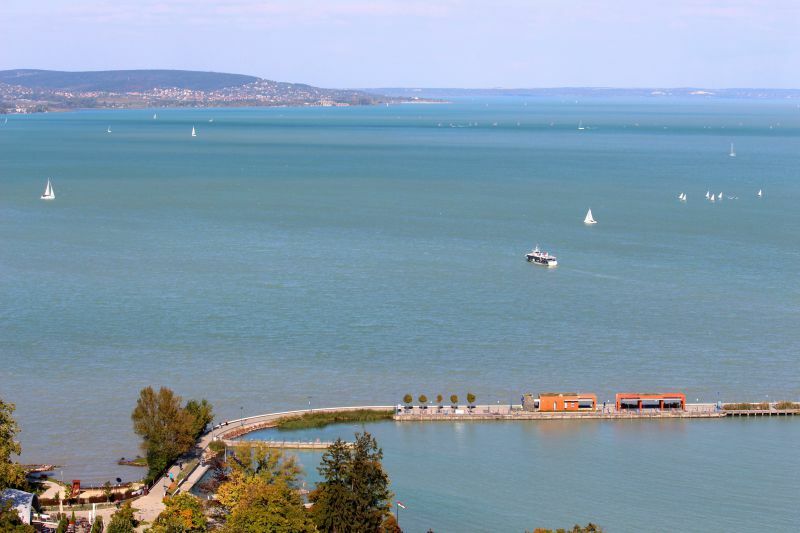 Thousands of sailboats form the white line along the turquoise Balaton – local regattas are an incredible sight! 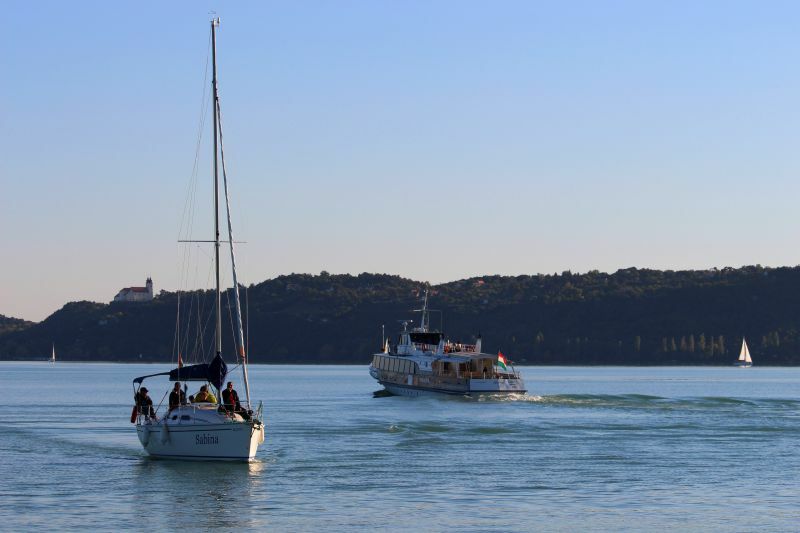 In summer, yachtsmen from different countries come to Balaton. Sailboats near the Tihany Peninsula. Sailboat near the Tihany Peninsula. Price: depends on the season. A small yacht for 5 people can be rented from 70 euros per day (you will pay extra for gasoline, cleaning, deposit) in the cold season. In the summer – from 120 euros per day. 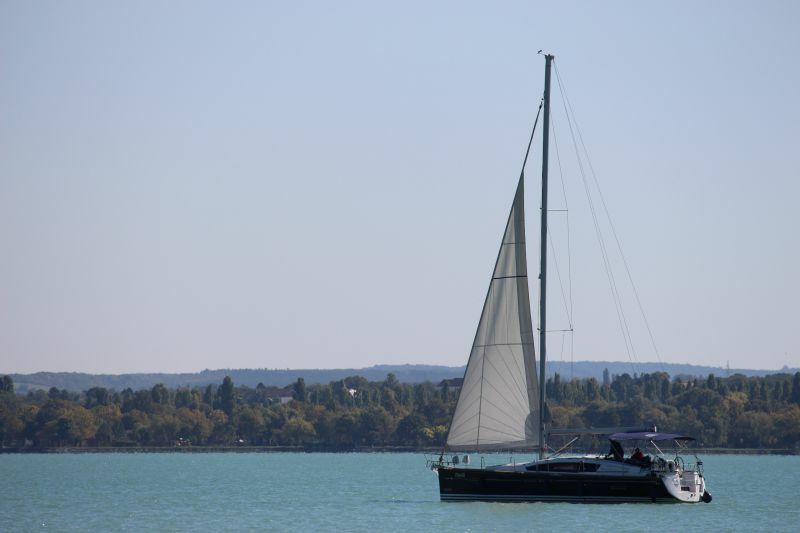 On almost every beach at Balaton you will see catamarans and various water activities. For example, kayaking, water skiing. People on the kayaks on the Tihany Peninsula. On many beaches, you can do SUP – paddle, while balancing on the board on water. On the Lido beach in the town of Vonyarcvashegy. windsurfing – 11 euro per hour. Tip: while staying in one of the hotels of Balaton, ask at the reception, if they help with the organization of entertainment on the water. We stayed at the Hunguest Hotel Bál Resort in Balatonalmádi. 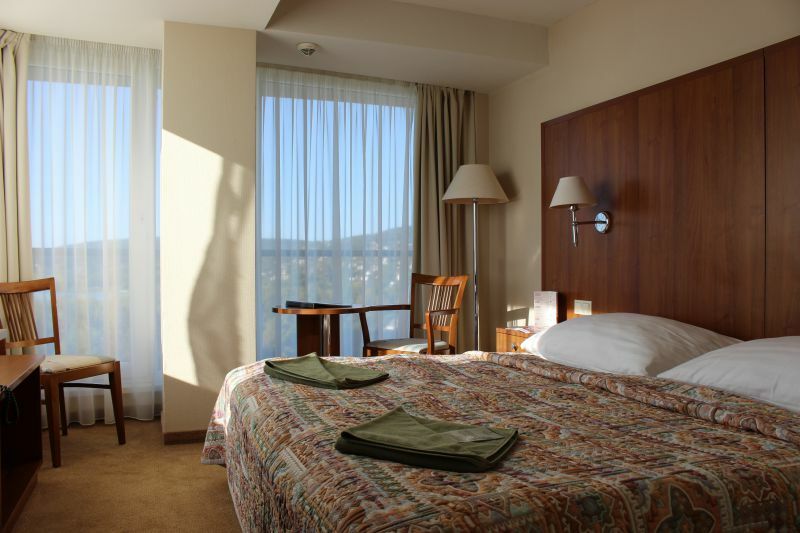 We were pleased with the amazing panorama from the hotel rooms to the azure Balaton,..
Room at Hunguest Hotel Bál Resort. The view from the room at the Hunguest Hotel Bál Resort. ...delicious food at the buffet in the morning and evening, as well as various spa services, including a sauna and a swimming pool with Jacuzzi. And at the reception you can arrange to rent a boat, yacht, kayak, or popular recently SUP surfing boats. On the waterfront of Balatonalmádi. While we were walking on the embankment in Keszthely, we got acquainted with the local fishermen. What can I say, a good catch for the city beach: fish is of the size to an ell! 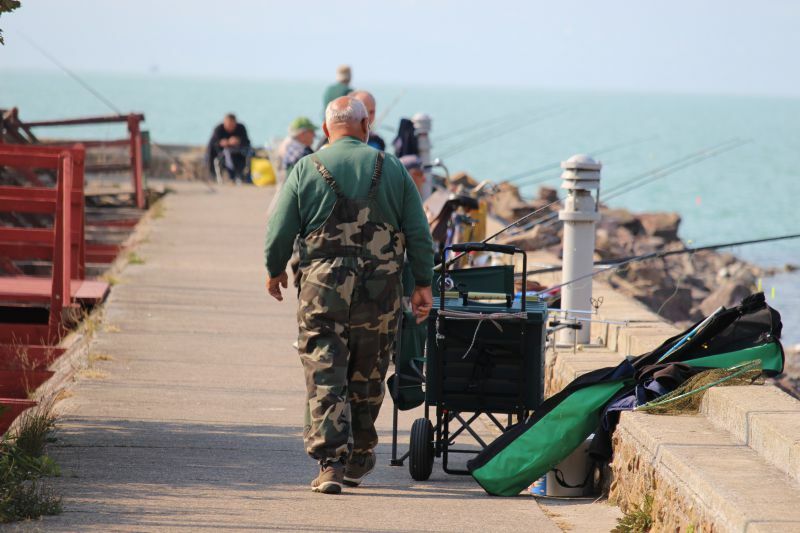 That is why fishing rods can be seen all over Balaton! On the waterfront in the town of Balatonaliga. The river is inhabited by catfish, crucian carp, bream, pike, perch, zander... 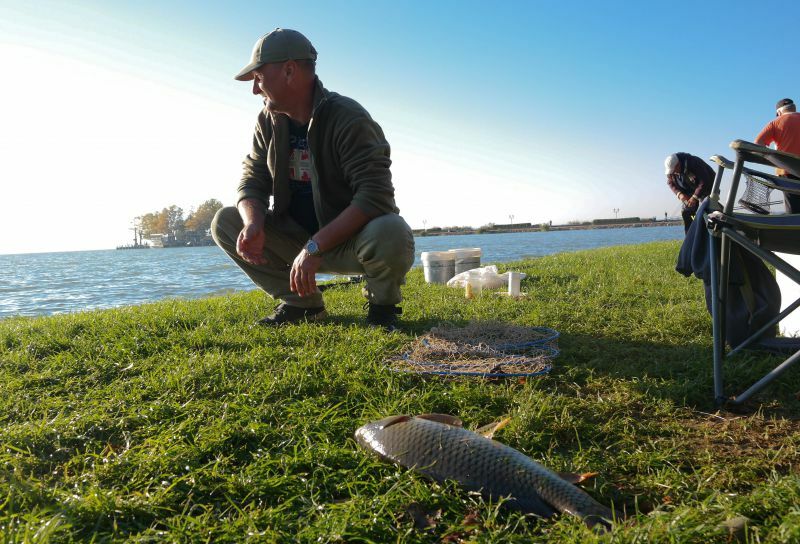 Fishing tours that can last for a week are organized at Balaton! If you want to fish, you need to get a license: you can buy it for a day, three, a week and more. On the seafront in Keszthely. 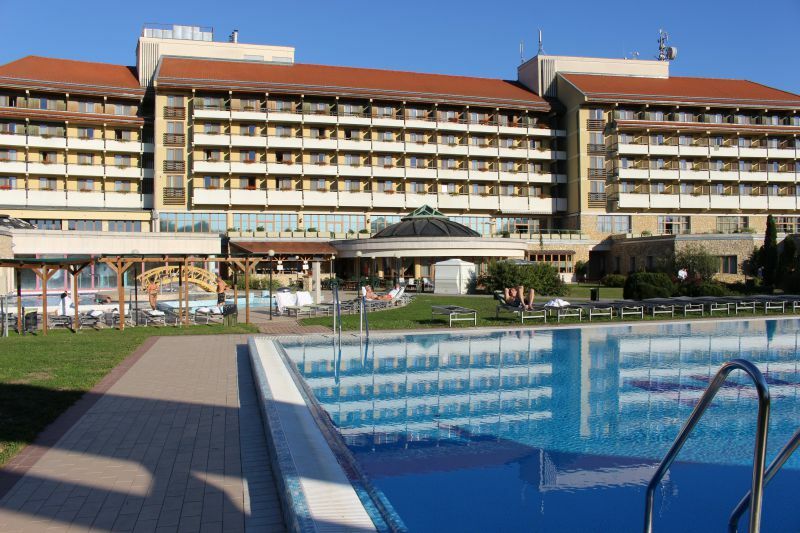 Price: license per day – 4000 forints (12 euros), 3 days – 7,500 forints (23 euros). Participation in the 6-day "fishing tour" – 700 euros, the tour for the day – from 100 euros. The incredible colors of lavender fields erupt at Balaton in late May-June. The quiet Tihany Peninsula turns into French Provence. In fact, lavender was brought to this place form there. 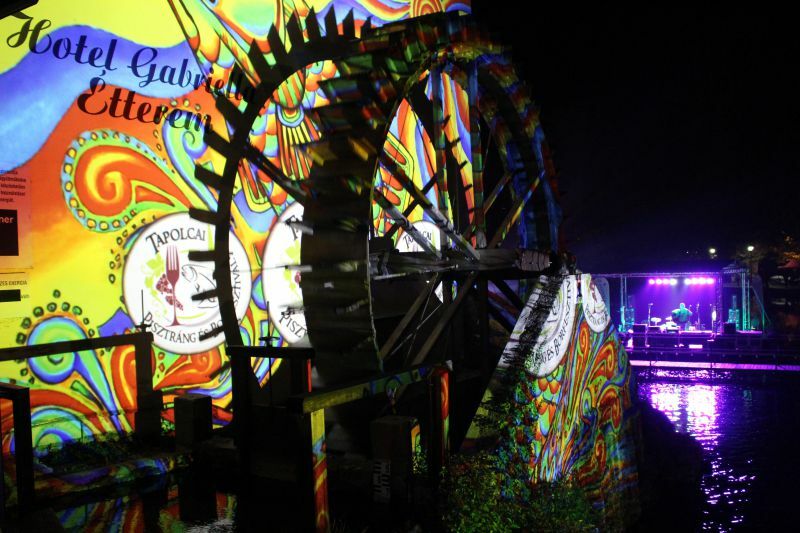 And while it blazes with bright colors, Balaton becomes the place for festivals. You can take part in collecting of fragrant lavender, taste the lavender cookies, washed down with lavender tea or lavender lemonade. Or try lavender ice cream with lavender liquor! Lavender beds on the Tihany Peninsula. 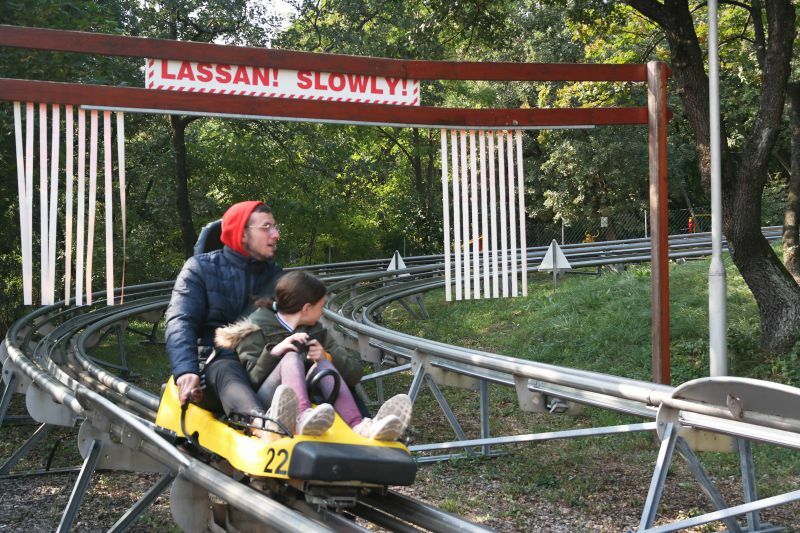 BalatoniBob Leisure Park will appeal not only to children, but also to lovers of high-speed turns. These small cars can carry you to meet adventures at a speed of 40 km/h, and a height difference is 40 meters. There is a quiet track, and one for those who like to turn more abruptly. There is also an amazing rope course for children and adults with many paths. Zipline, archery, airsoft. And swings, which will be fit to train future astronauts). Price: entrance to the territory of BalatoniBob Leisure Park is free. Tickets need to be bought on the rides themselves. One slide – 599 forints (approximately 1.8 euros) for adults and 499 forints (1.5 euros) for children. Location: Balatonfűzfő, Uszoda u 2. Coordinates: 47.070815, 18.026718. 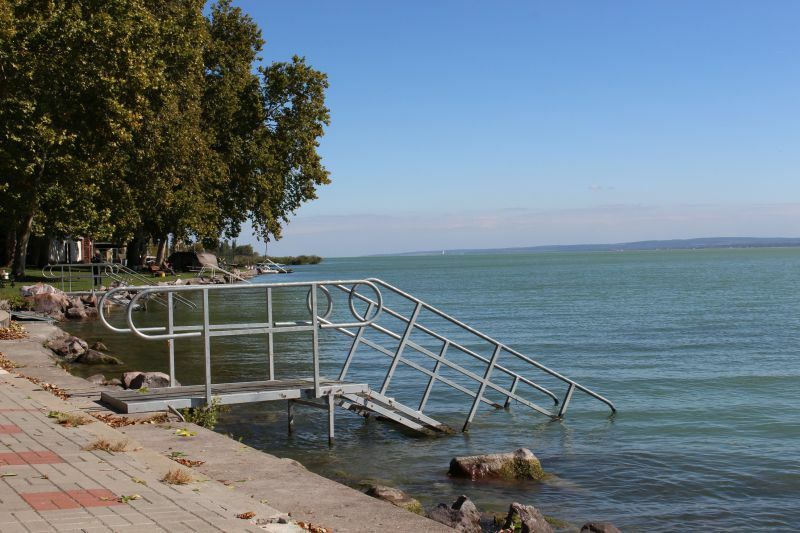 The narrowest part of Lake Balaton is between the Tihany Peninsula and the town of Szántód, it is not far from the resort-youth town of Siofok. The ferry goes to it. The distance is quite small, so the journey is only 10 minutes. But you can go to the next town on the water, take a walk and go back. There are also pleasure boats that go for an hour, and even a party ship for loud discos. The sailing season begins with Easter. By the way, there is a separate children's boat with fabulous characters. It goes from three ports: Siófok, Balatonfüred and Badacsony. Price: ferry – 700 forints (about 2 euros). The underground kingdom of Balaton is represented by its caves. There are a lot of them! 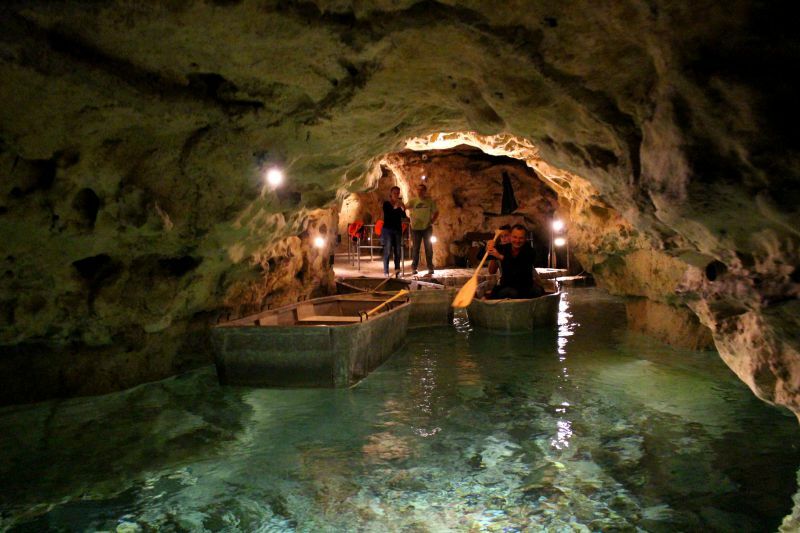 But the most popular is a cave with an underwater lake in Tapolca. The lake is small with incredibly clear water and a very narrow channel. It is an adventure to squeeze in it in a boat! Csodabogyos Cave is waiting for those who want to get acquainted with stalactites. By the way, there is a medical cave in Tapolca. It is literally under the Hunguest Hotel Pelion and is part of it. 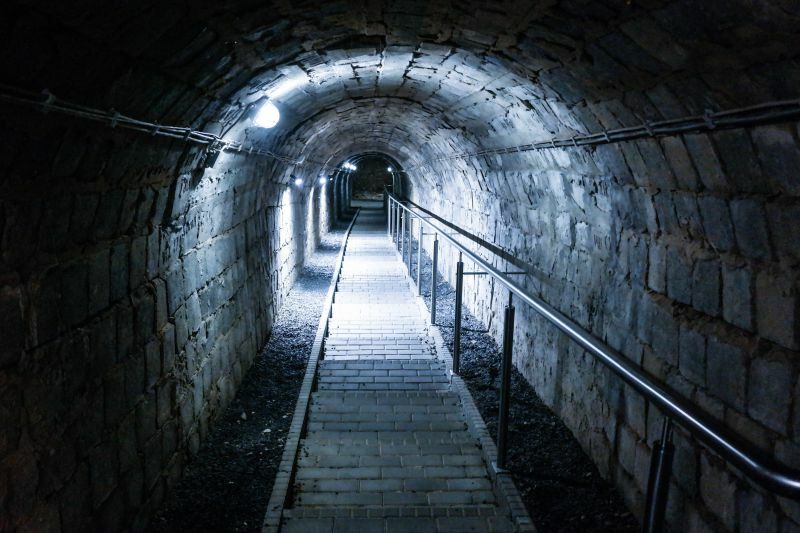 Descent to the medical cave in Tapolca. The unique cave climate treats diseases of the upper respiratory tract: asthma, allergies, bronchitis. In addition to rehabilitation, the Pelion Hotel offers comfortable 4-star level relaxation. Medical cave in Tapolca, under the Hunguest Hotel Pelion. A swimming complex with slides, pools, jacuzzi and saunas will be at your disposal; spa treatments; comfortable rooms; bar and other entertainment; elegant two meals from the hotel chef – buffet. Outside pools of the Hunguest Hotel Pelion. Csodabogyos Cave – the town of Balatonederics. Coordinates: 46.792208, 17.369979. Cave Lake in Tapolca – Kisfaludy Sándor u. 3. Coordinates: 46.883103, 17.443536. Hunguest Hotel Pelion and a medical cave – Tapolca, Köztársaság tér 10. Coordinates: 46.886194, 17.442635. We were genuinely surprised by the number of interesting museums in Balaton. The most famous is the Festetics Palace. 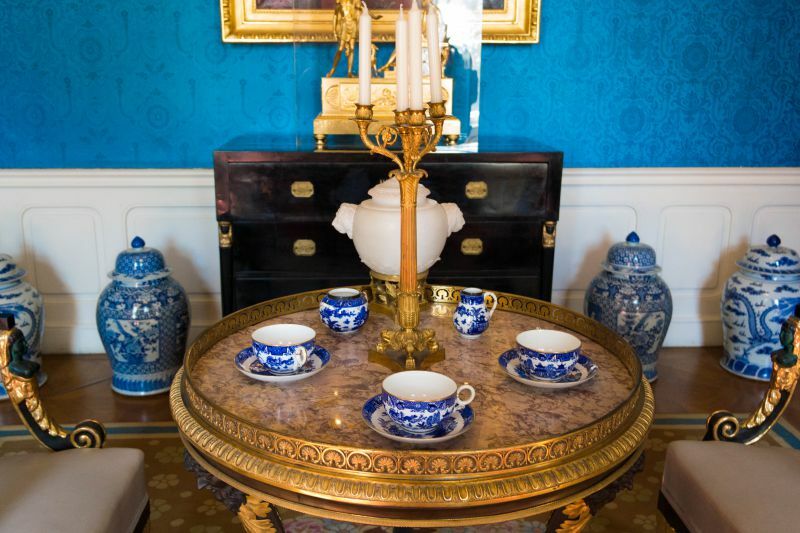 But it will be no less curious to take a look into the Lavender House, the museum with the largest collection of dolls in Europe, dressed in ethnocostumes, the Cadillac Museum, the Museum of Marzipan. And even... the museum of Africa! There is something peculiar, with a "twist" in every small town. In one of the rooms of the Festetics Palace. 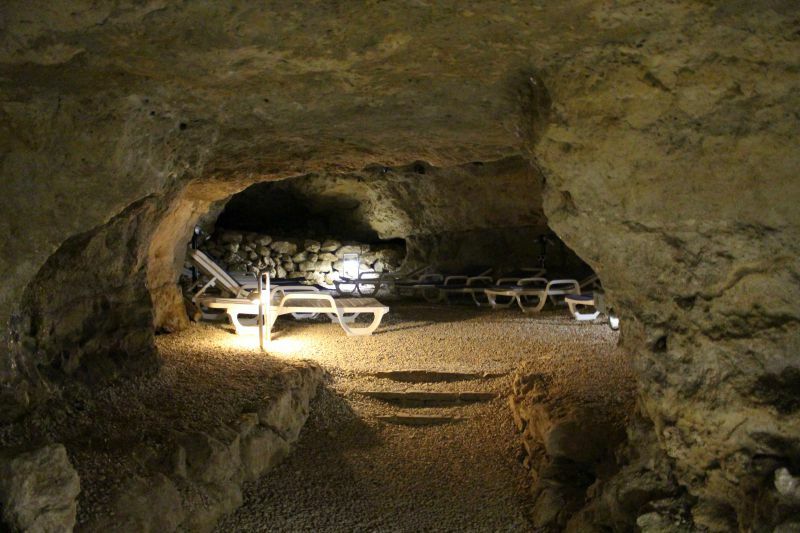 Museum of Nature in Tapolca and the Lake Cave – Tapolca, Kisfaludy Sándor u. 3. Coordinates: 46.883103, 17.443536. 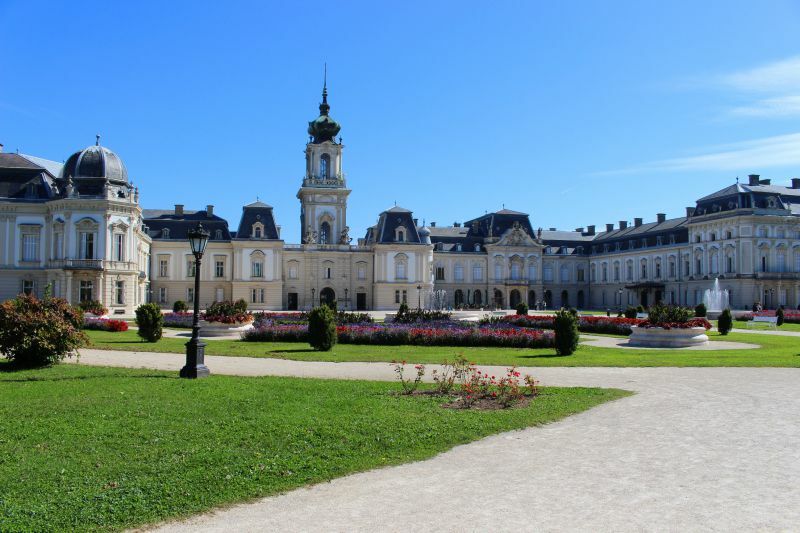 Festetics Palace – Keszthely, Kastély u. 1. Coordinates: 46.770785, 17.241662. Roman Ruin Garden in Hévíz – Hévíz, Római kori romkert, Attila u.. Coordinates: 46.801888, 17.191208. Fortress of Szigliget. Coordinates: 46.803716, 17.434242. Lavender House on the Tihany Peninsula – Major utca 67, Tihany. Coordinates: 46.909046, 17.888207. Hunting and model train museums in Keszthely – Bástya u. 4, Keszthely. Coordinates: 46.772411, 17.237767. Well, they are so cute! 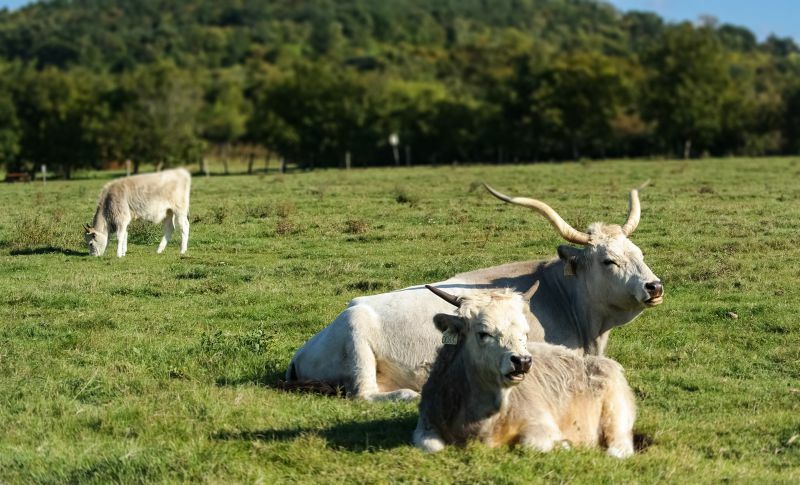 This is a special breed of Hungarian cows. You can get acquainted with them on the Tihany Peninsula, where they bask on the green grass in the reserve. And gophers are running around next to them! A real delight for children. By the way, you can still go see the buffalo near Balatonmagyaród! Near the Lavender House in Tihany. Location: next to the Lavender House in Tihany. Major utca 67, Tihany. Coordinates: 46.907771, 17.886958. 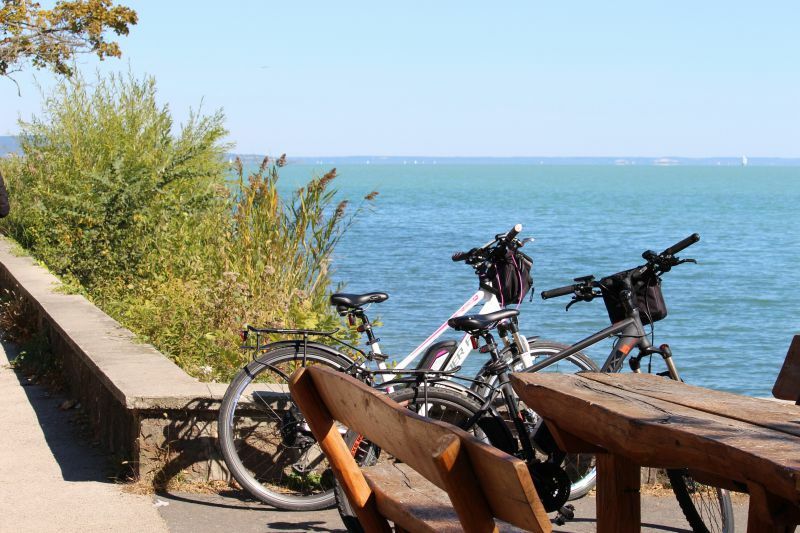 It is not so easy to take and leave Balaton, if you did not have a bicycle tour. More than 200 kilometers of trails around the lake! If you set a goal, you can drive around on a bicycle for a day. Cycle path on the road from Balatongyörök to Szigliget. By the way, this is one of the most panoramic roads at Balaton. The coordinates of the observation platform: 46.769598, 17.360921. But for the most part, many people prefer to make a 2-3 day outing, stopping in different towns, considering the beauty of the lake. This is considered to be an obligatory ritual for the locals. If you do not want to do this outing for too long, you can shorten it by ferry from Tihany to Szántód and vice versa. Near the bike path on the Tihany Peninsula. If somebody is not ready for the feat, there are a lot of one day routes (or several hours). In total, more than 30 marked routes, 5 around the mountains, and 6 long distance routes. In the southern and western part of the lake, the terrain is rather flat, but in the north and west – hilly. Embankment in the town of Révfülöp. Price: you can rent a bike for 3 hours for 1000 forints (about 3 euros), 2.200 forints (about 6.7 euros) per day, a week – 12.000 forints (about 37 euros) (the average price may vary depending on the "point"). 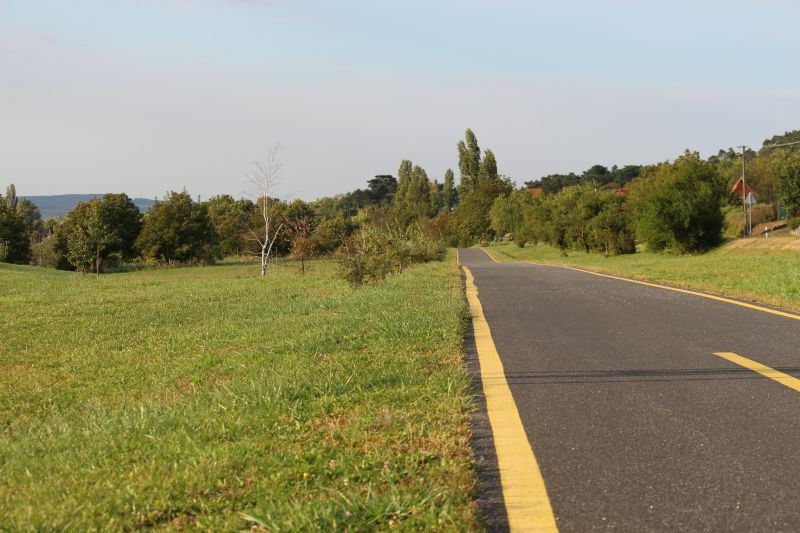 Complex wine and bicycle tour (10 km) – 15 euros. We were riding peacefully on our way to the café with the most delicious fish at Balaton. Suddenly in a clean field, a tank flies by, raising mountains of dust..! Tank!!! And a happy company is inside, with the faces filled with delight. Done, the fish was almost forgotten. We went in search of a tank. Found it. It turns out that a local resident converted the tank, and is arranging a ride for everyone. 5 minutes of fun on the road. The tank roars, takes off over the hills, everything shakes and falls in different directions. It is steeper than a roller coaster. But you should not probably take children on this adventure: no seat belts. Only chains) And our guide had to work as mirrors for the tank: it itself could not turn around. 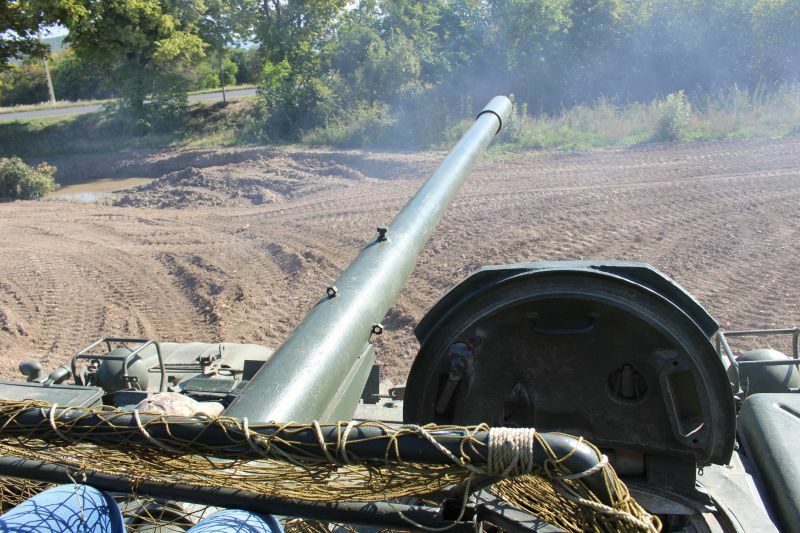 The man who was giving us a ride on the tank said that he is a collector who acquires written off military equipment. And there are already 6 tanks in his collection. You cannot see the tank all year round: the owner puts it at the track in July and finishes work in September. Price: 5 minutes on a tank – 25 euro per company. It can accommodate 5 people, that is, 5 euros per person. 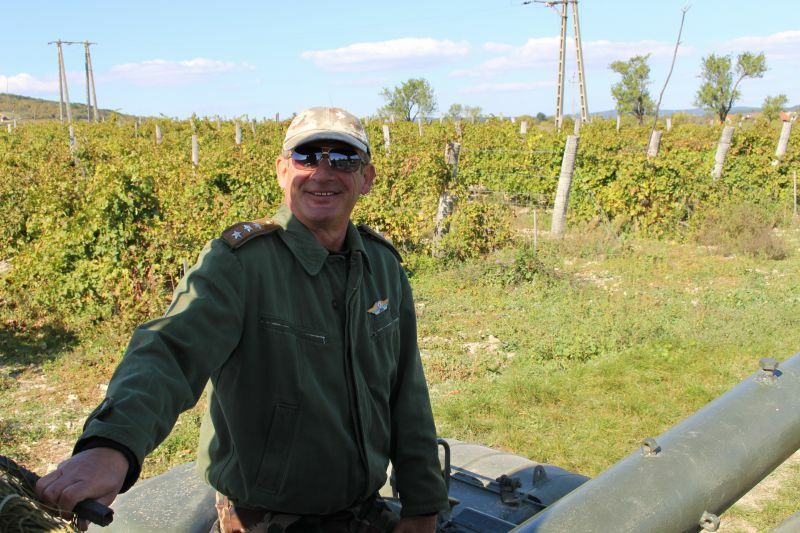 If you want to reach a new level of coolness and ride the tank a little across the field – 30.000 forints. Location: Hunyadi út, Örvényes irányában Aszofo 8230. 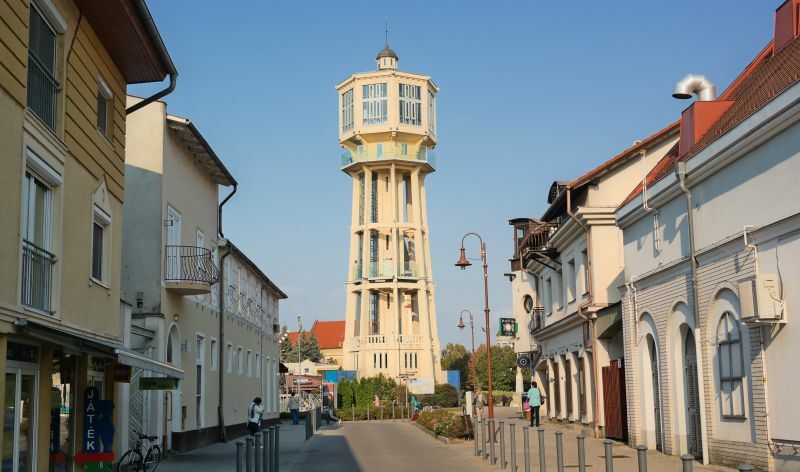 It is located not far from the Tihany Peninsula. 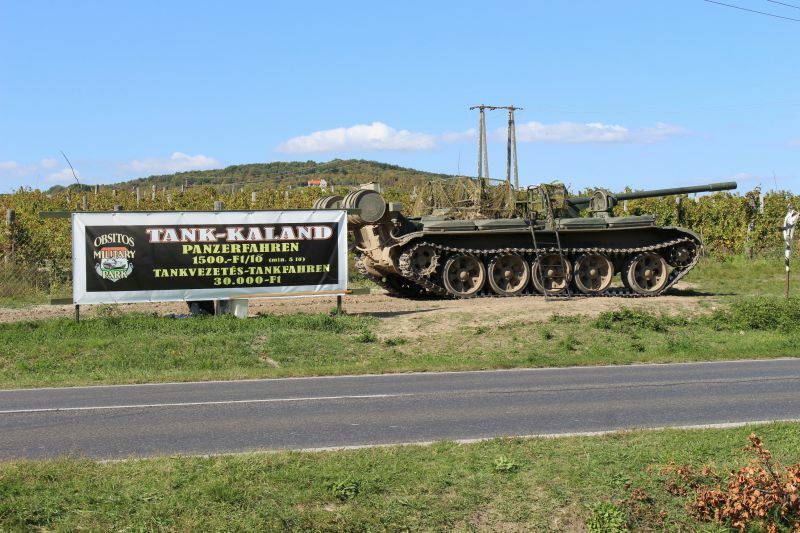 You will see a tank if you drive along the road from Szigliget to Tihany. Coordinates: 46.924821, 17.828216. 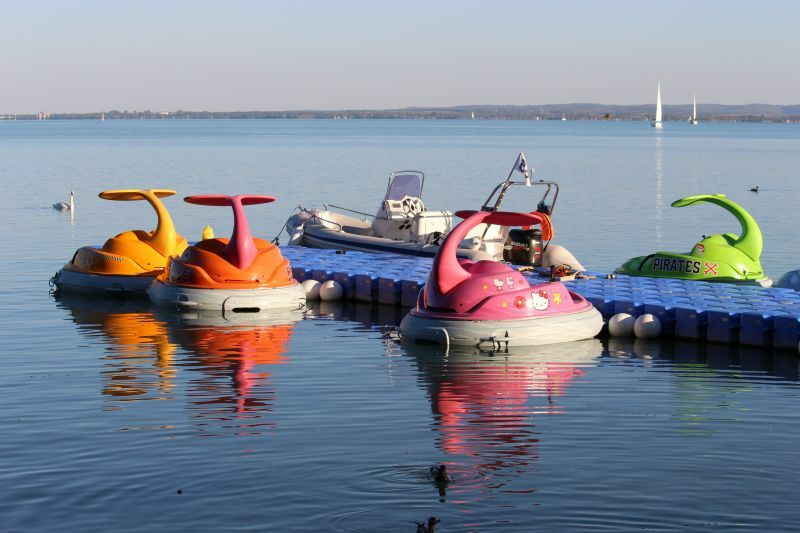 How can you have unforgettable fun at Balaton! Fly on a big balloon in Hévíz. This entertainment is available from April to November. 1.5 hours in the air, observing a delightful panorama with green meadows and forests that frame the largest lake in Europe. Price: 159 euros per person. You can fly a helicopter over Balaton! 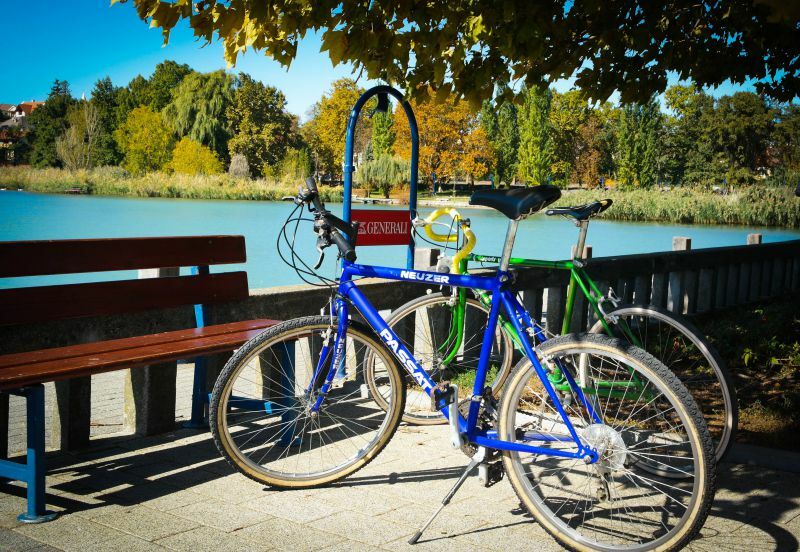 A 30-minute ride over the green Balaton Uplands National Park! Or on an airplane: you can "make it for three" or take a flight for one. In the sky – from 15 minutes, the route depends on the time ordered. Price: helicopter – 460 euros for three, the price varies depending on the number of participants. Airplane – 23.000 forints (about 70 euros) for a 15-minute flight for three, an hour – 88.000 forints (about 271 euros). While going to Balaton, we did not know that we were going to the land of extinct volcanoes! Can you imagine? Basalt lava has frozen 8 million years ago. It framed the crater of the volcano like a petrified pipe, soaring upward. 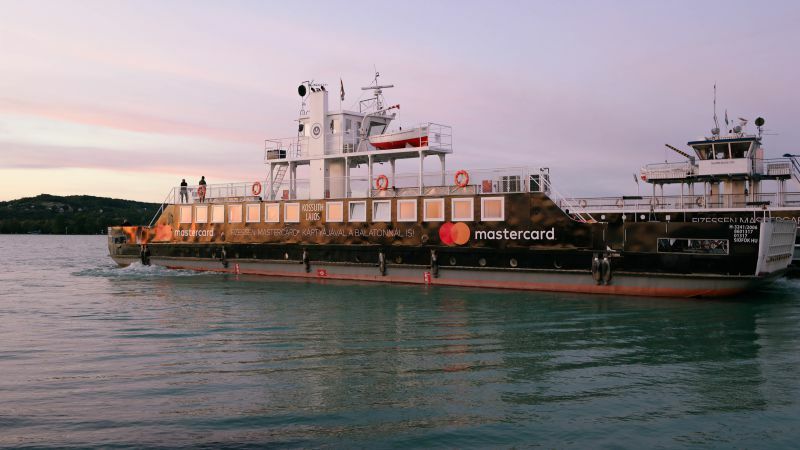 One of the most beautiful sights at Balaton. But in this region there are many walking routes with equally spectacular landscapes. The photo was taken from the Szigliget castle, located on a mountain peak. The best panorama of the extinct volcanoes of Balaton opens up from here. Coordinates of the Szigliget castle with an observation platform (parking): 46.803745, 17.434267. 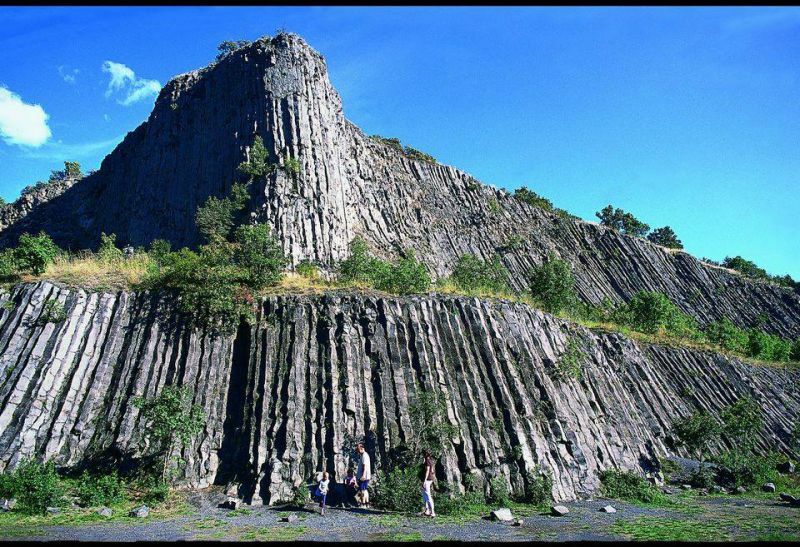 Coordinates of one of the most popular basaltic mountains Hegyestu: 46.889327, 17.646445. Golf is considered to be an entertainment for the rich. 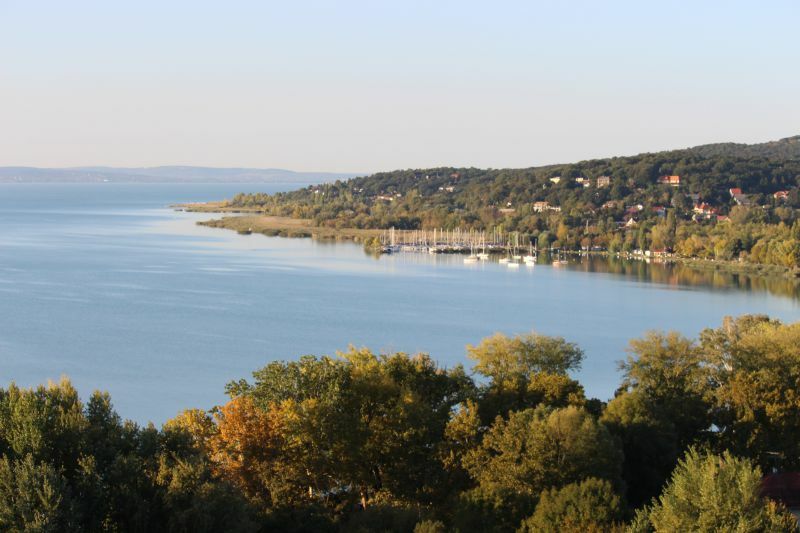 At Balaton, it is especially gorgeous: lush green fields rise above a blue lake. 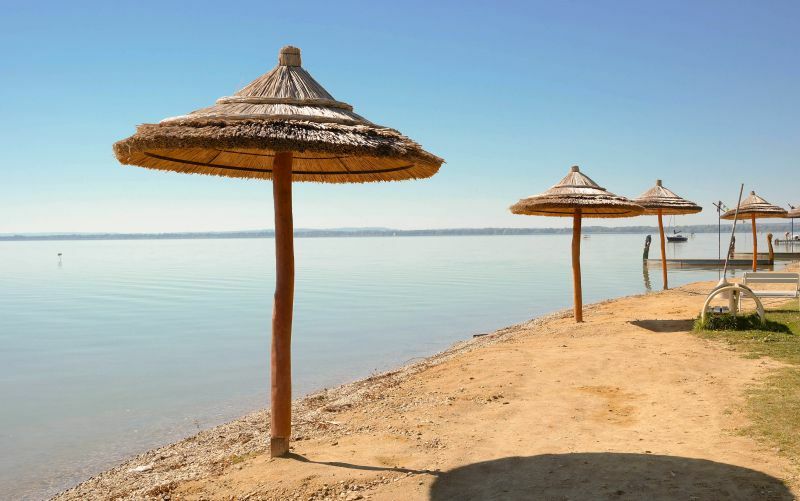 They are located in the most beautiful corner of the region, near the Tihany Peninsula, as well as in some other regions of the northern part of the lake. 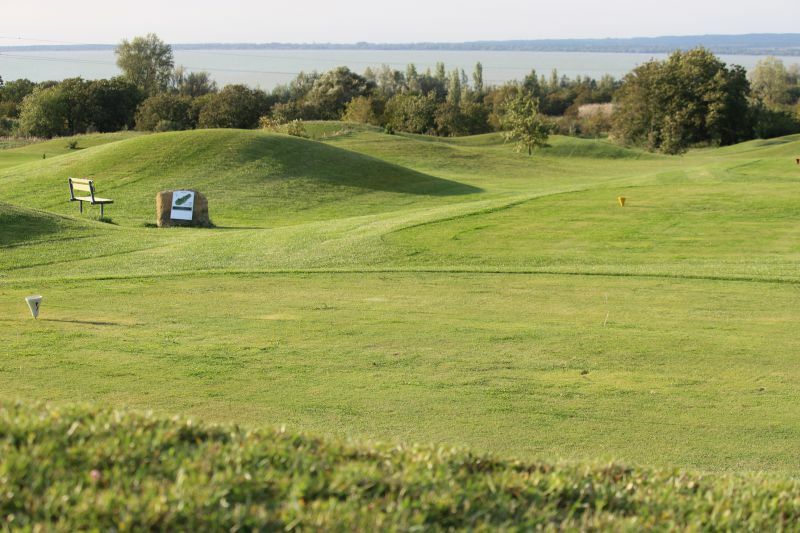 Golf course near the town of Balatongyörök. near the town of Balatongyörök 46.778062, 17.367695. Roe deer, sometimes wild boars, are hunted in the region. To do this, you have to contact the "hunting" office, get a license, guide. Area for hunting – 8 thousand hectares. Hunting season – from April 1 to mid-August. Hévíz. The coordinates of the tourist office in Hévíz (Hévíz, Rákóczi u. 2): 46.790630, 17.188978. Keszthely. The coordinates of the tourist center in Keszthely (Keszthely, Kossuth Lajos u. 30): 46.766230, 17.242821. Tihany. The coordinates of the tourist center in Tihany (Tihany, Kossuth Lajos u. 20): 46.913342, 17.888787. 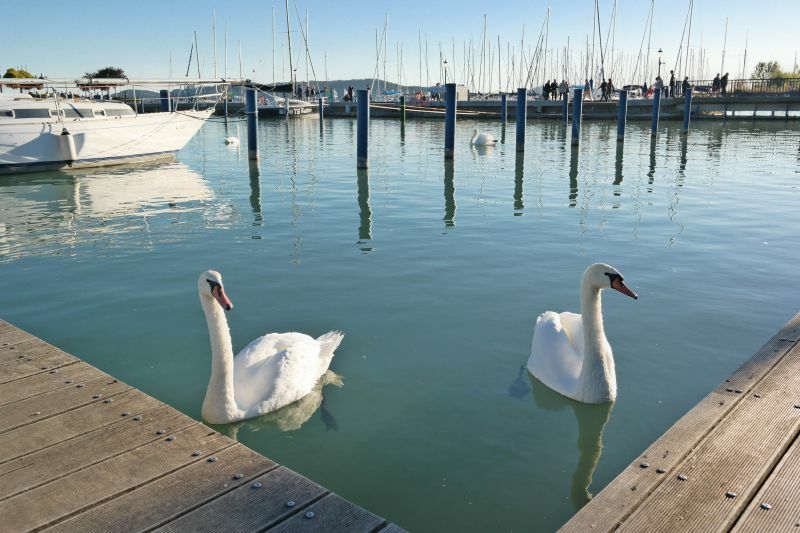 If you are looking for a prince on a white horse, you should go to Balaton. 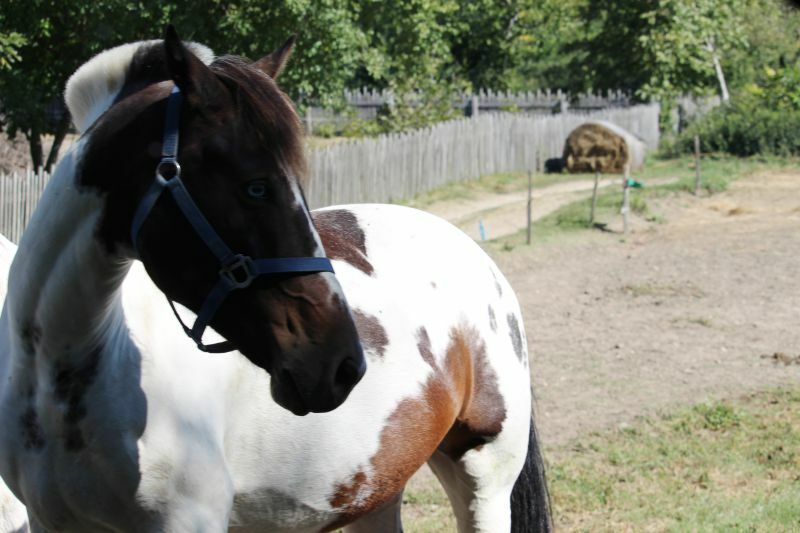 Trust me, this will be the love at first sight, at least for the horse. They are so beautiful here, with snow-white manes! Not sure about the range of princes, but the choice of horses at Balaton is numerous. Detailed information can be found in the tourist offices listed above. In the days of carriages and elegant ladies, when winters were more severe, Balaton froze for more than half a meter. It is not surprising, since its average depth is only 2–3 meters. And then carriages could easily drive on it. Now the frosts are not so strong (winter is about –5 degrees), but if it happens, the lake turns into a huge rink! There is a lot of space. And if the winter is mild, you can swim in the kayak. Imagine there is such entertainment in Hévíz. 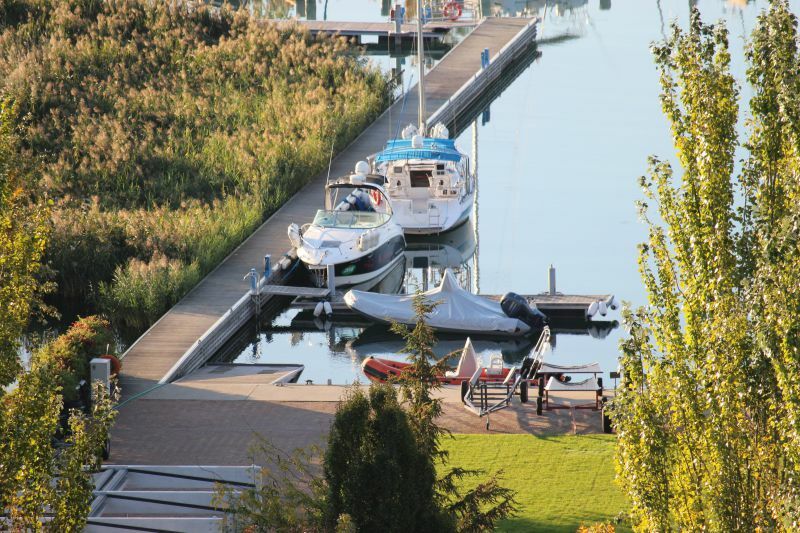 The fact is that the canal leads from warm thermal Lake Heviz to Lake Balaton, naturally with warm thermal water. In the summer, it is overgrown with vegetation, and in winter it becomes passable. In short, you can relax on the lake in winter. 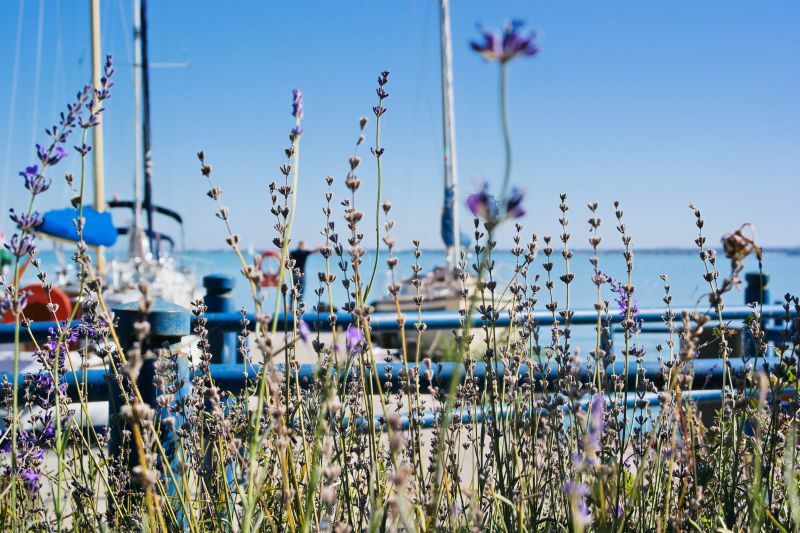 If you are looking for nightlife and loud parties, Siofok is your town on Balaton. All coast turns into one big noisy party in the summer! Festivals do not die down in Balaton all summer long. This concerns what you can do in the evening. Right after the end of the youth festival of electronic music, the organ grinders from all over Europe come to the region. After a walk at the fish festival – immediately you get into the wine one. There are especially many wine festivals. The most festival months are July-August. At the Fish Festival in Tapolca. However at the end of September we caught the gastronomic Fish Festival. And it was fun, tasty and musical. The fish is mostly fried here. Although there was much more wine than fish. And what surprised us – no one was drinking from plastic cups at the festivals. Only from chic wine glasses. Leave a deposit of 2 euros and walk around with a glass, wherever you want. 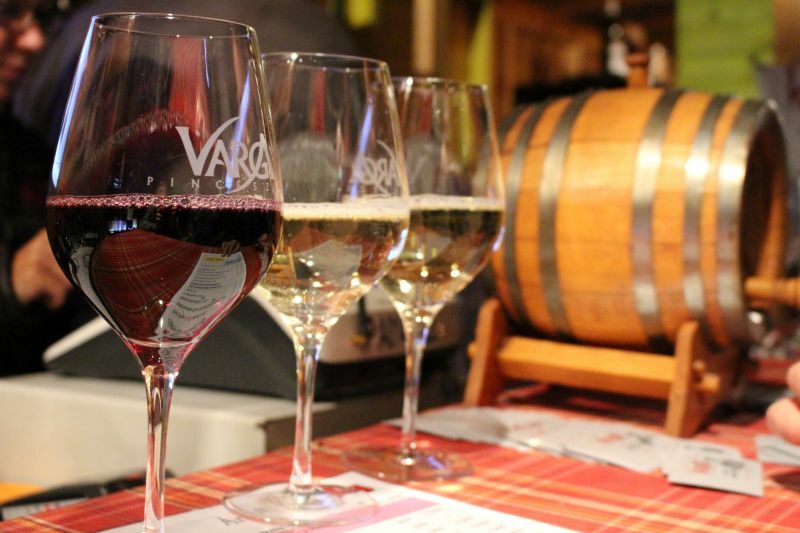 Wherever you go to Balaton, you will see vineyards everywhere. They are in every private sector, and it is clear for what purposes. Hungary is a country of wine. Balaton is a region with a lot of wine. We looked into the local cellars, and saw a whole wine shop with a press, bottles and all the equipment that would help brighten up your life and of your neighbors. 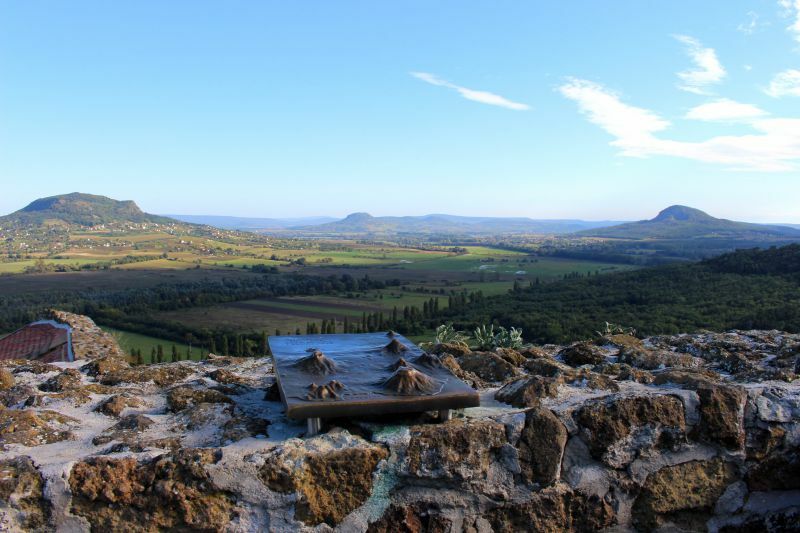 Many wine farms are happy to welcome tourists. In Hévíz, for example, there is a whole street of wine – the Egregy region, which comes to life in the evening. Go on tasting, look for the most famous wine of the region – white pepper Szaraz feherbor. 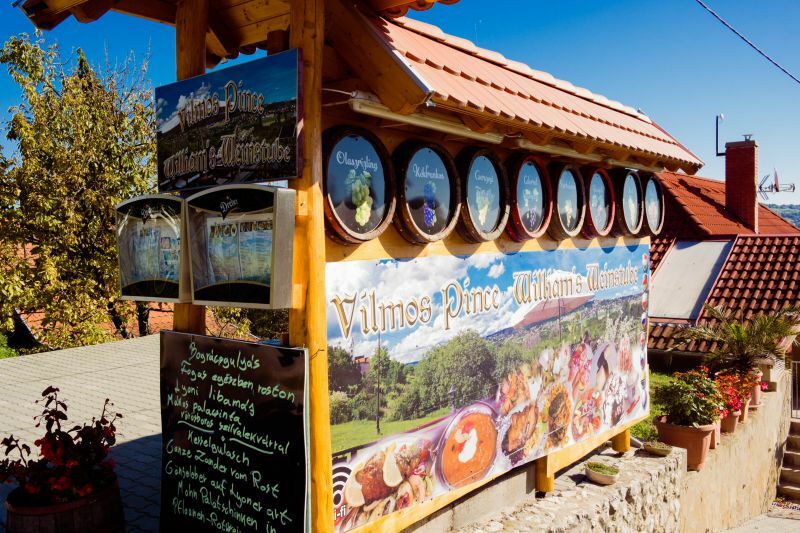 Goulash soup, fish soup, fried catfish, pike perch, bream, carp, lángos, Hungarian strudel... You cannot describe the traditional cuisine of the region in several lines. When you are at Balaton, be sure to taste fish soup! This is a very local dish that everyone recommends. Balaton fish soup. Caution, it is quite spicy. 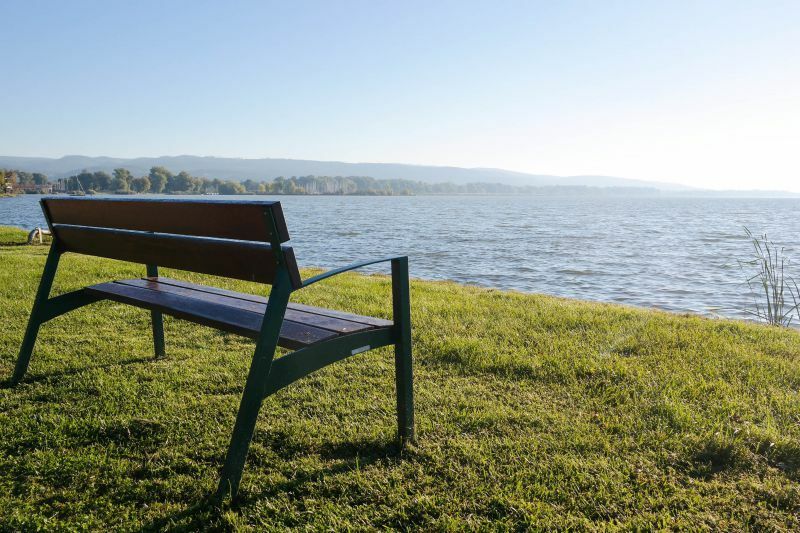 You can just sit on the green bank, contemplating how azure Balaton is splashing. For sure, this is not the whole list of things to do at Balaton: we have chosen the highlights of our trip. Photos in the article: IGotoWorld Photo Group.